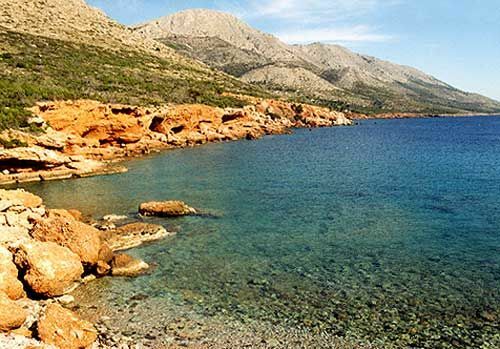 Limnioniza is one of the most beautiful beaches in Hydra. 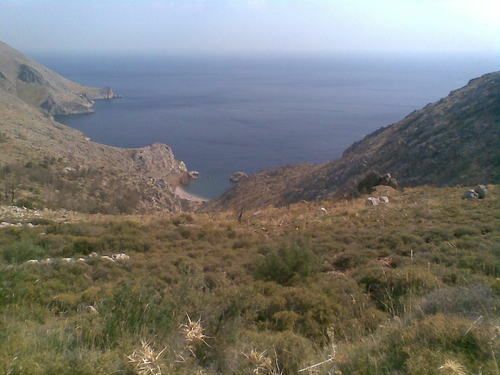 It is located at a remote large cove on the southern coast of the island and can be reached either by boat or on foot, through a scenic footpath which starts from Hydra's port. The beach has grey peebles, shallow clear waters, umbrellas, sunbeds, watersports and a small cantina which is open during the summer (daytime only). The tiny islet found in Limnioniza bay, adds interest. The area around Limnioniza is uninhabited and there aren't any other facilities near by. Speedboats offer regular schedules from Hydra's port to Limnioniza (30min).